The Brevard Music Center’s Whittington-Pfohl Auditorium serves as the main stage for Songsmith Gathering. There are 1800 permanent seats under the covered section with ample lawn seating on both sides of the open air venue. Nestled into a beautiful cove with Pisgah National Forest as a backdrop it is an inspiring location for a great musical experience. The Songsmith Gathering will have two stages. The Auditorium Stage is covered and has permanent seating. The Lakeside Stage is an intimate outdoor, uncovered stage. There is no seating at Lakeside Stage so feel free to bring a chair or blanket if you like. 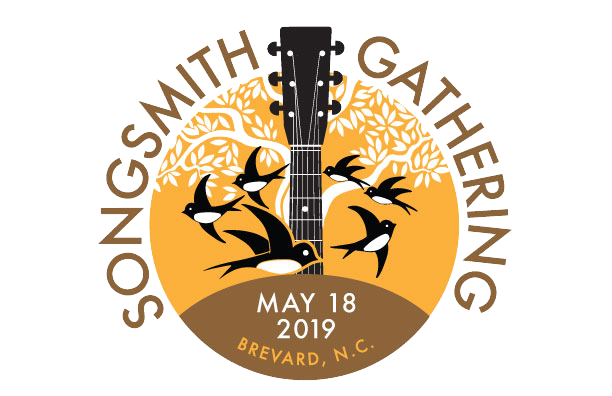 Please do not contact Brevard Music Center for more information about Songsmith Gathering. Transylvania County is home to hundreds of unique lodging options. Charming B&B’s, nice hotels, modern treehouse-like cabins and retro-hip motel rooms are just some of the offerings. Find your ideal home away from home here. If your idea of camping is, well… camping, stake out the perfect site here. Still haven't found that perfect place? Call Prentiss at the Visitor Center in downtown Brevard. 800-648-4523. She'll be happy to help! Gathering: a social or festive assembly held for a specific purpose.